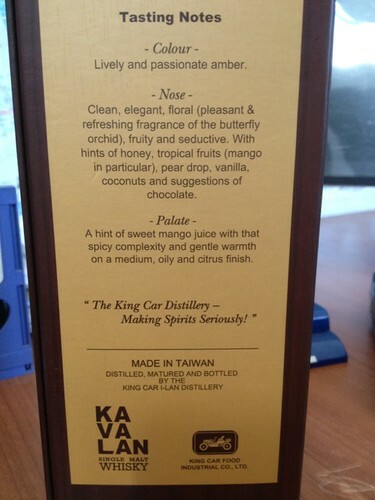 Remember my earlier entry about the Kavalan ConcertMaster Single Malt Whisky? 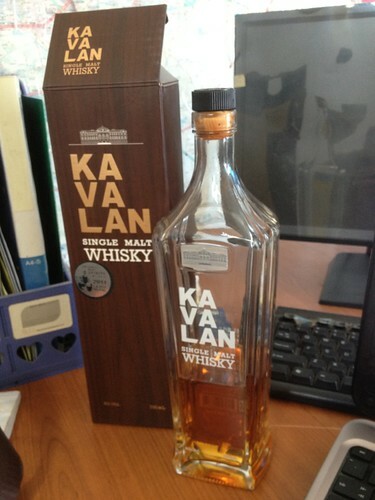 I had the opportunity last night to try their Kavalan Single Malt Whisky which is supposedly the better grade of single malt in the Kavalan product line. I tried it and I didn't like it. The ConcertMaster was smoother than this one. Heck, I would even go to the extent of saying this one is pretty rough by single malt standard. 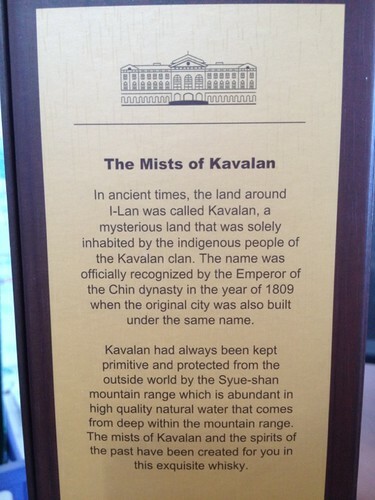 I reflected this to the Kavalan folks much to their protest. The ConcertMaster as I have mentioned in my previous entry was price incorrectly i.e. too expensive. This one is more expensive albeit marginally, which make this lagi less value-for-money. Dont mate never tried that brand before.. but i feel Chivas regal 12 years to be very smooth and best for me..
welcome to the blog. I take it that you are not familiar with Single Malts. You should try it. They are heavenly if you are a whisky drinker. I recommend the Macallan 12 Years Old to start. It is a very easy single malt to drink. Here's two of my earlier entries on whisky for your reading pleasure. I suggest you start with the regular Macallan 12yo then work your way up to the Sherry Oak. Otherwise, you may not appreciate the latter fully. Besides, the regular one should be cheaper too.